These rooftops can bring a modern, urban feel to your weddings. 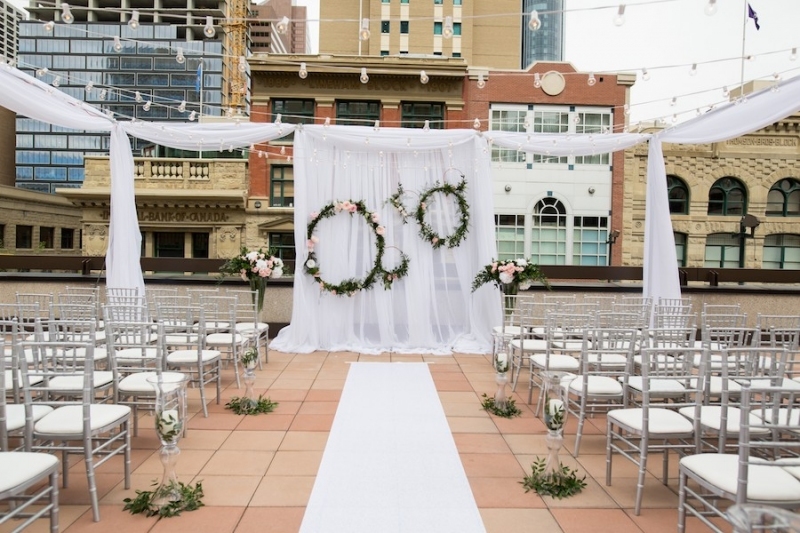 Plus, we have expert advice on what to consider for your outdoor, high-in-the-sky wedding. 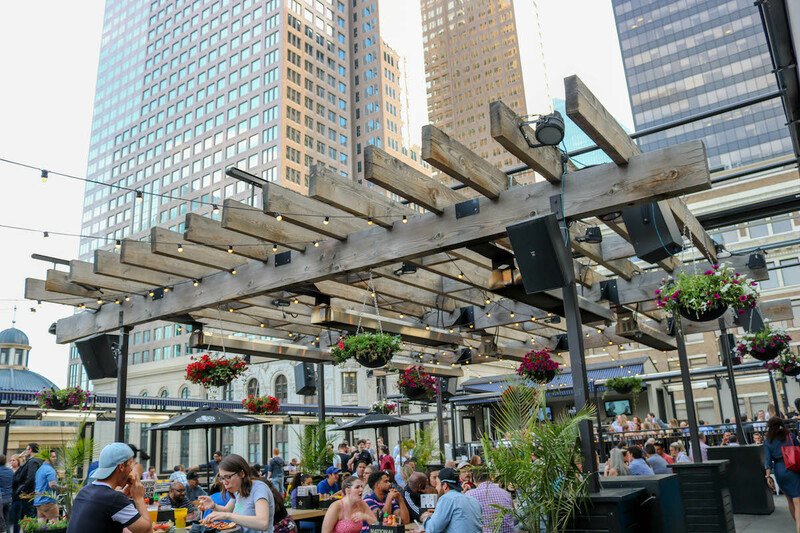 The rooftop venue at Calgary Marriott Downtown Hotel. Photograph by Emily Exon Photography. In terms of decorations for a rooftop wedding, Young recommends keeping things minimal. “When you have such a busy backdrop, like an urban cityscape, you should let the space speak for itself,” she says. The couple brought small umbrellas for the guests and hosted a cocktail reception on the rooftop patio after the ceremony. “Our guests could enjoy the view and it made it a whole experience,” she says. An important factor to keep in mind is the risk of natural elements can be amplified with height. As with all weddings, Young recommends having a backup plan that works just as well. She suggests creating pieces that can be repurposed should the ceremony have to be moved inside. “We all know the weather in Calgary,” says Young. Some of the things to keep in mind are live music, microphones and the sun. Young recommends working with a technical support team to ensure the sound of wind isn’t amplified through the microphones. She adds that a pop-up tent may be helpful for live musicians as direct sunlight can impact some instruments. But before all those details are decided, you have to choose your rooftop. 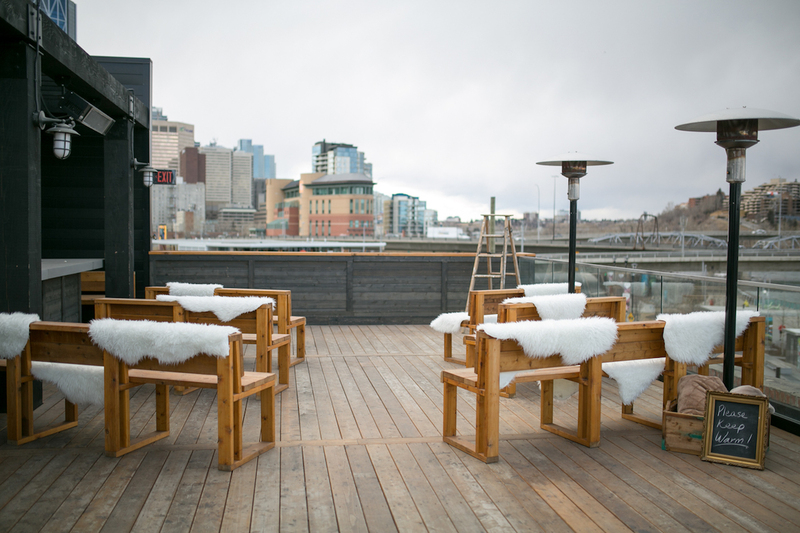 Here are six Calgary rooftops to consider for your wedding. The table is set for a dinner reception at the Calgary Marriott Downtown Hotel. 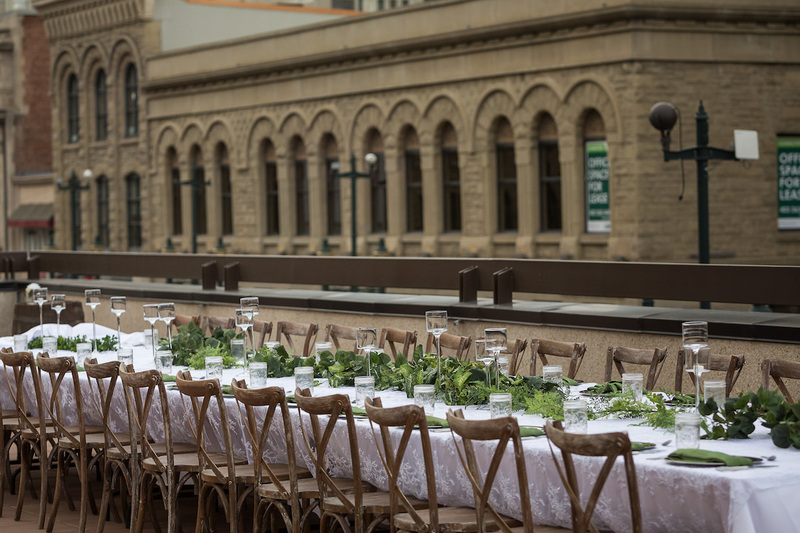 Overlooking Stephen Avenue and the Calgary Tower, this popular terrace can be set up for a ceremony, cocktail, and dinner reception for between 200 to 300 guests with specialized catering and amenities throughout. There is also a wedding ballroom attached to the patio that can be used as backup in case of bad weather. Katrina Green-Warner and Fabian Warner hosted their wedding at Le Germain in April 2018. 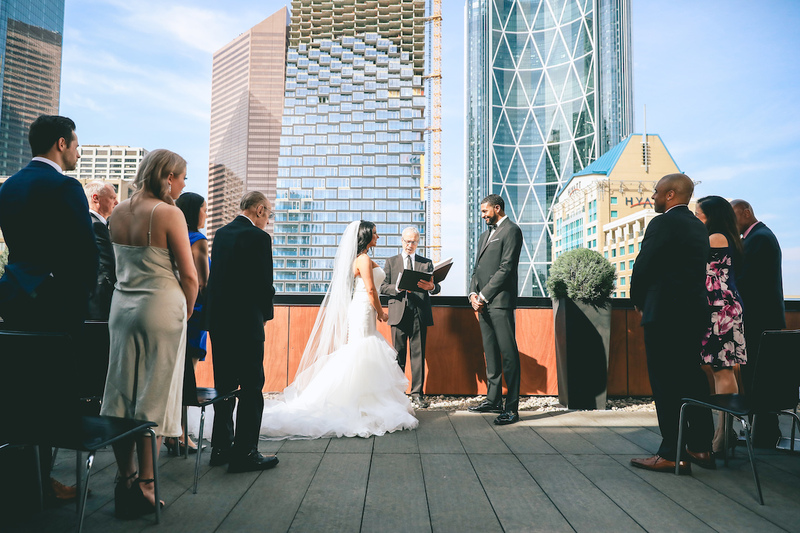 Centrally located in downtown Calgary, Le Germain brings one of the best views of the city’s skyline as a backdrop for a wedding. The space can be arranged for ceremonies or reception and the hotel includes a wide range of amenities for your guests. The Rooftop Bar @ Simmons in East Village in the process of being set up for a wedding. Located in the historic Simmons Building, this venue is perfect for those looking for a backdrop that includes nature and the city. 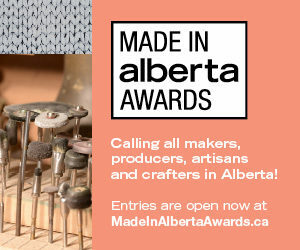 Overlooking the Bow River on one side and the Calgary skyline on the other, this venue provides the best of both worlds. Catering can be customized through Charbar for specialized drinks and food. The National on 8th patio can accommodate up to 600 people standing. If you’re looking for an unconventional venue, consider hosting your wedding at National on 8th or National on 10th patios. The venue accepts weddings on Sundays through Wednesday and you can buy out the bar to make sure you have the whole place to yourself. National on 8th patio can host up to 600 people standing and National on 10th has room for up to 120 people. This historic hotel, which was revamped with the creation of Studio Bell, is the perfect venue for those looking to celebrate their city. 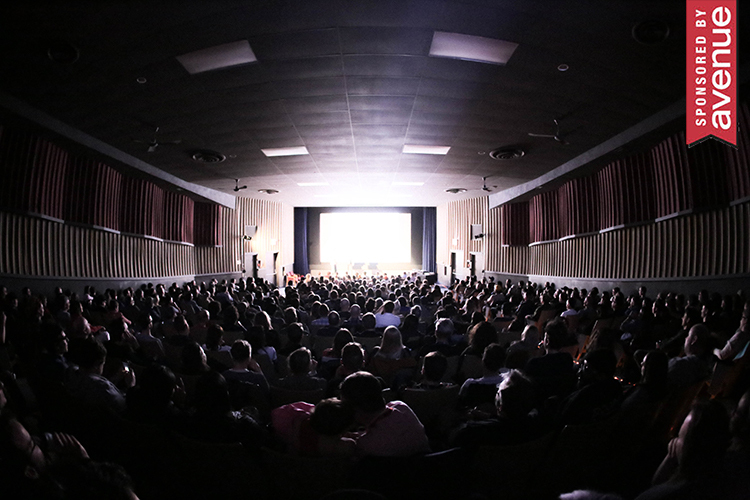 The 2,500 square foot space can accommodate up to 200 people standing and 175 seating. The venue also includes several different wedding packages for if you’re looking for variety.